Our Year 11 historians have been studying the Cold War this term and the Cuban Missile Crisis is a central part of their studies. 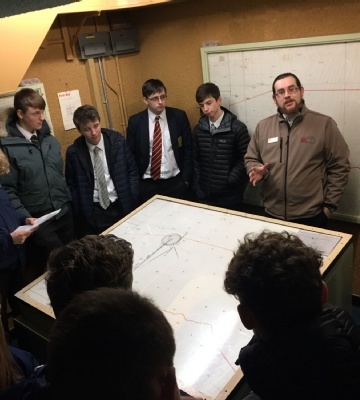 Last week students were taken on an in-depth tour of the now-defunct nuclear bunker on the outskirts of York, where the grim reality of living under the shadow of the bomb was forcefully brought home. Students observed how quickly technology made the bunker almost obsolete as soon as it was built, as well as debating the life or death decisions the observers would have had to take in the event of an attack, including leaving one’s family behind.